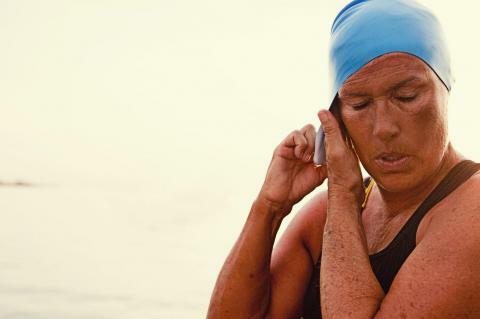 "The Other Shore" follows world record holder and legendary swimmer Diana Nyad as she comes out of a thirty-year retirement to re-attempt an elusive dream: swimming 103 miles non-stop from Cuba to Florida without the use of a shark cage. Her past and present collide in her obsession with a feat that nobody has ever accomplished. At the edge of The Devil's Triangle, tropical storms, sharks, venomous jellyfish, and one of the strongest ocean currents in the world, all prove to be life-threatening realities. Timothy Wheeler's documentary brings Diana Nyad's extraordinary adventure to life as Diana sets out to prove that will and determination are all you need to make the unimaginable possible. Emmy-nominated cinematographer and filmmaker Timothy Wheeler received his master’s at the UC Berkeley Graduate School of Journalism and produces diverse content for film and television. Wheeler’s visual artistry and storytelling career is inspired by his contribution to various international non-profits along with travel in 60+ countries.